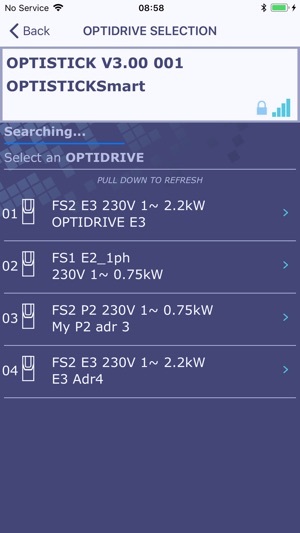 OptiTools Mobile is an intuitive and easy-to-use Smartphone App which provides wireless configuration and monitoring of the Optidrive product range. 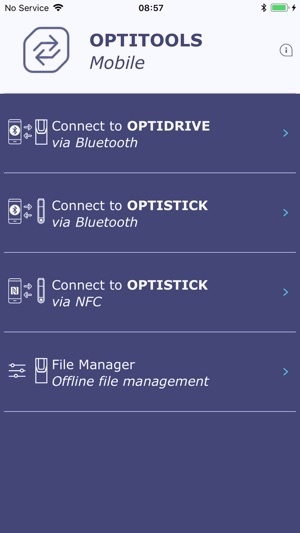 Wireless operation is carried out via Bluetooth BLE and is available on any Optidrive when the OptiStickSmart is plugged into a drive or a drive network. 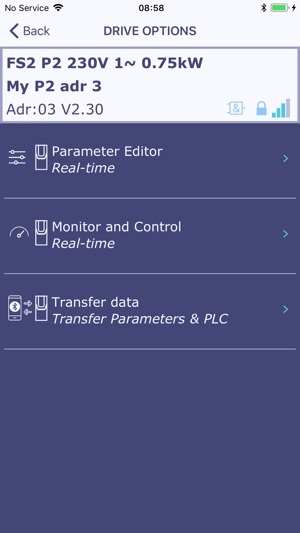 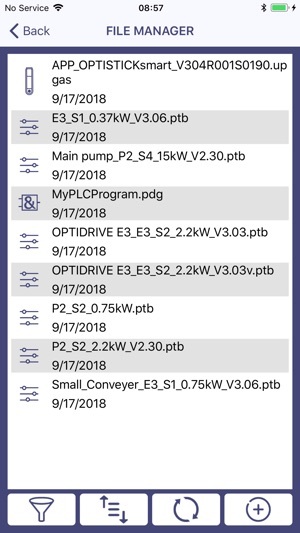 Monitor and Edit individual Optidrive parameters in real-time or transfer complete parameter sets between an Optidrive and the Smartphone. 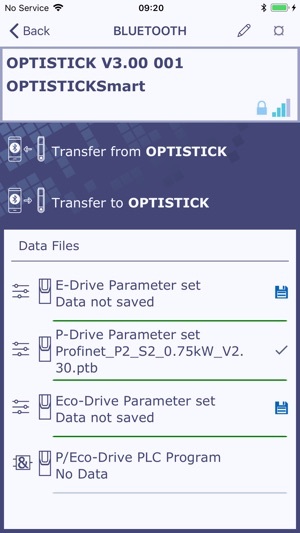 Parameter sets can be send and received via Email and are fully compatible with OptiTools Studio PC software. 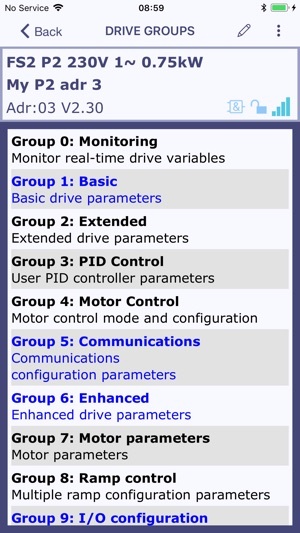 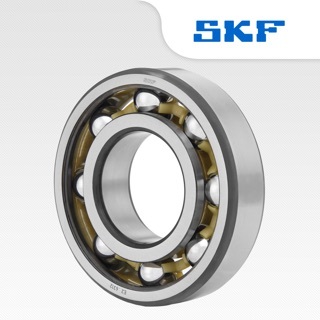 Monitor drive status, motor speed, motor current and motor power in real-time. 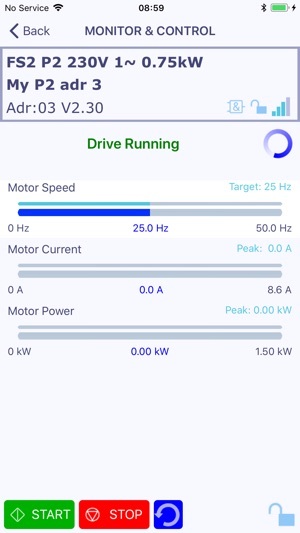 When unlocked, the user can adjust motor speed, start the drive, stop the drive and reset trips from the Smartphone App.